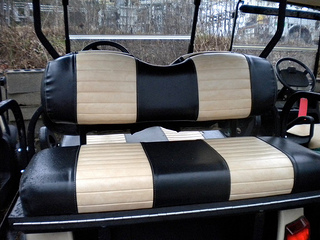 Golf cart seats can be easily cleaned, recovered or added to give your golf cart a fresh new look or a custom feel. Seats can also be added to your two passenger cart to turn it into a 4 seat golf cart. Maybe you have an older cart like mine or are purchasing a used golf cart and the seats have some tears or are just looking rather dingy. 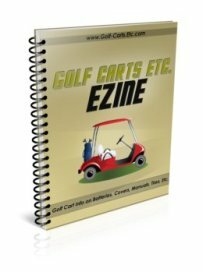 There are several ways to refurbish or replace your existing cart seats. This is one of the easiest ways to give your cart a fresh look. 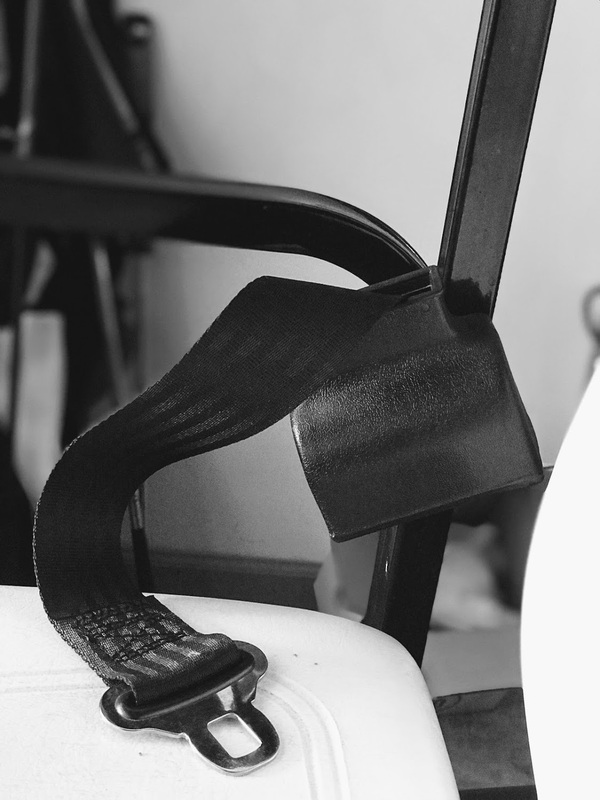 Replacing your cart seats can be as easy as putting an elastic strap over the existing seats or for a more custom look you can order your favorite colors and staple on the new ones. 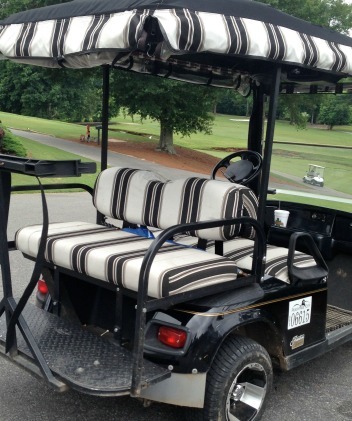 Golf cart seat covers protect your seats from wear and tear or it can cover damaged seats so that your cart looks like new. There is a wide variety of seat covers. You can purchase ready made covers with elastic that easily slip over your vinyl covers, or you can purchase standard or custom made vinyl covers. Either way you can do it yourself. Several different types of fabrics and colors are available. 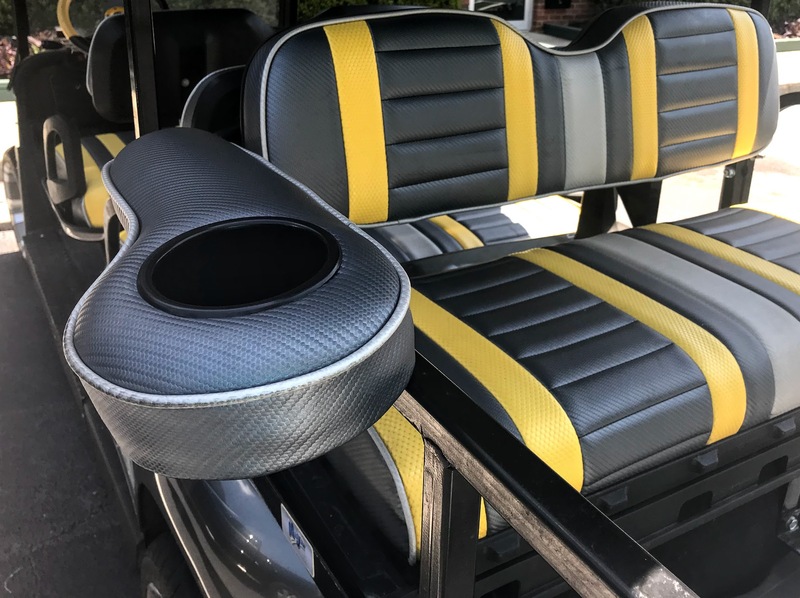 Golf car seats aren't just about the look and feel of golf cart seat covers. I am finding that while my newly refurbished Club Car golf cart runs great, the ride is not that comfortable - especially when you play 18 holes of golf or take the golf cart back and forth to work over uneven terrain and paths. This portable lumbar support makes all the difference and stays right on my golf cart so I'm not looking for it at the last minute. 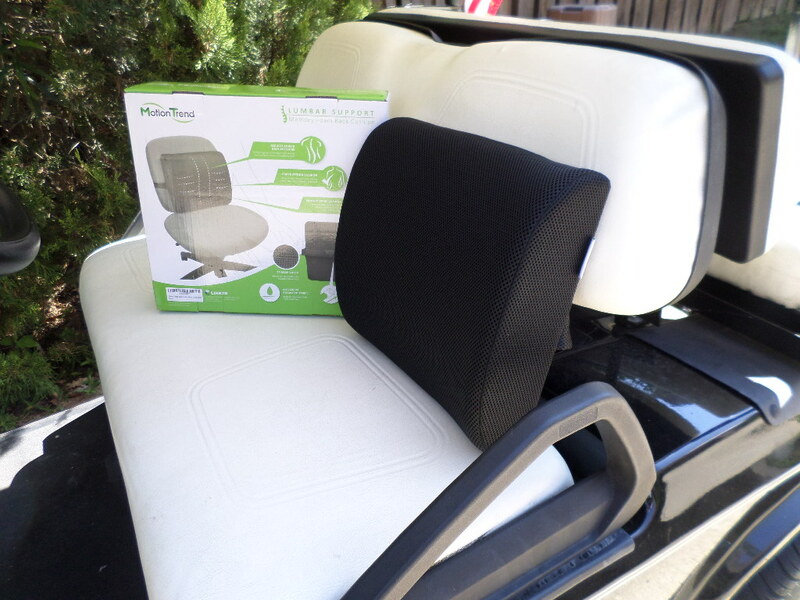 A golf cart rear seat is an important golf cart accessory for those of us who live in a golf cart community. It can used not only for carrying extra people, but for hauling groceries or garden supplies. A rear seat can be added to a 2 seat golf cart - that's what we did and we love having the extra room. The flip down seats provide extra hauling space and custom rear seat arm rests give a custom look. Cleaning golf car seats and seat covers is an easy job. Many of the covers that slip over your upholstered seats are machine washable. We've washed our synthetic sheep skin covers many times. I also clean the vinyl seats occasionally just to spruce up the cart. 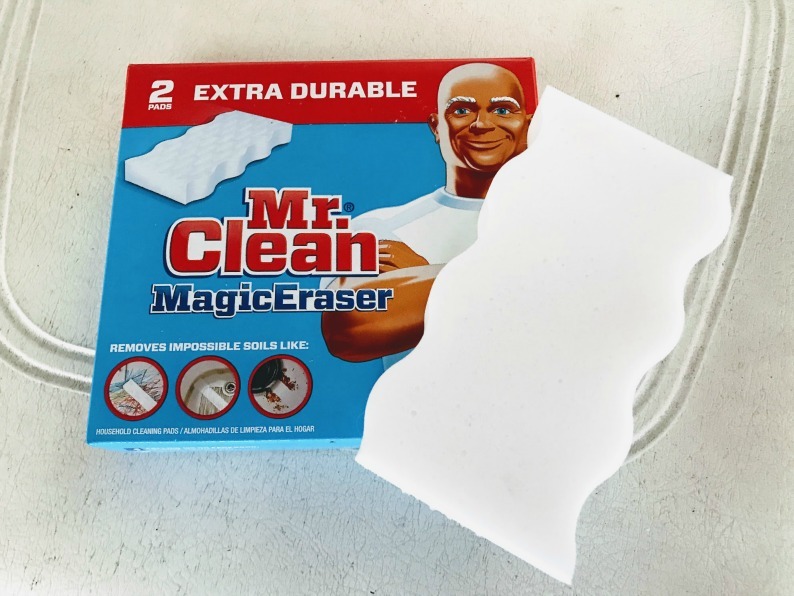 I've had the best luck with Mr. Clean Magic Eraser, Original . Just get it damp and rub across the vinyl . Stains and discoloration disappear making your seats look like new. One of our local golf cart dealers say they use AutoZone's Purple Power which is a cleaner and degreaser. Golf Car seat belts do not come standard in most golf carts. Although not required for riding on the golf cart paths, many families have installed seat belts for the safety of their children or guests. If your cart is going to be used as a street legal golf cart, seat belts are required for every seat. Seat belts can be easily added to the front or rear seats. You will need to purchase seat belt installation brackets. 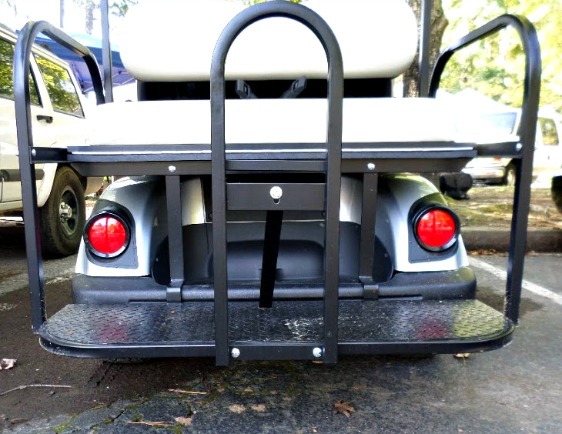 For the safety or your rear seat passengers, a golf cart rear seat grab bar is a necessary accessory. The bar provides something for passengers to grab onto when getting on and off the cart and stability for when going around corners. It's a universal part and easy to install. Consider a 4 seat golf cart if you live in a golf cart community. 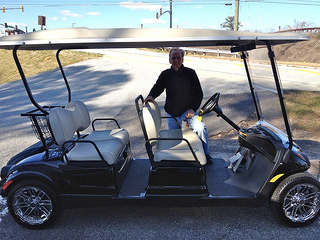 Most of the families in Peachtree City own and use a 4 passenger golf cart rather than a 2 seat golf cart. They are great to use when taking the family or a couple of extra kids to the pool, shopping for groceries or going out for an ice cream. Our daughter loves the larger golf cart for taking the kids places or just for going out to dinner with another couple. A 4 passenger golf cart can come with the back seat facing forwards or the rear seat facing backward. If you own a two seat cart it can easily be converted into a 4 seater.